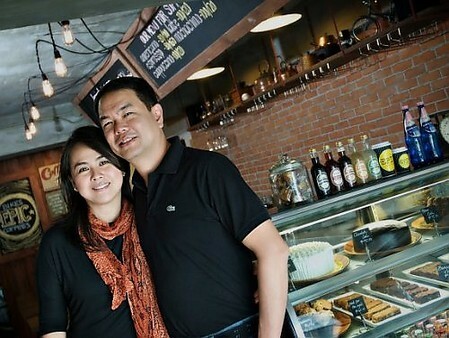 Walking into Epic Cafe is like meeting and getting to know its owners: husband and wife entrepreneurs Sonny and Joy de Leon, without having to talk to them. No, the walls here-- semi-polished concrete and brick-- aren't littered with the couple's photos; nor they are scribbled with excerpts from their personal diaries. 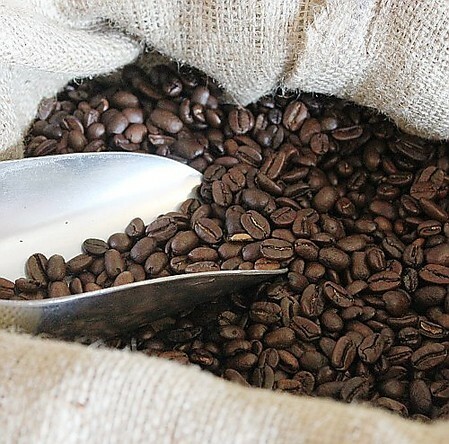 Instead, they broadcast Sonny's coffee tasting notes: African coffee is earthy and acidic, while South American countries produce citrusy and floral cups. Though you won't be able to tell just by looking at the wall that he came from a family who produced coffee in Bukidnon and that he has experienced the entire coffee-making process from planting to brewing, the notes make it evident that this man knows his coffee. 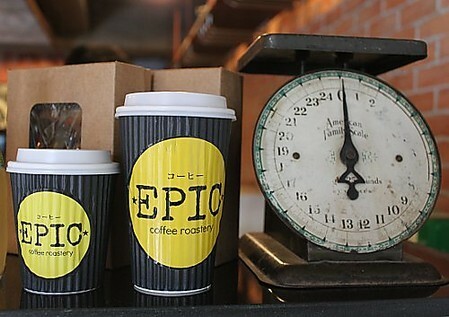 More importantly, it maps out where Epic Cafe sources its brews; half of it, at least, since majority of their beans are organic local produce (sourced from mountains of Benguet to the plains of Bukidnon). The centerpiece of the house is the Italian espresso machine. Sonny loves a good shot of espresso (P80 or P100, depends on the size). There are also Japanese pour-over and siphon gadgets that tell you the couple was inspired by kissatens (neighborhood cafés) in Japan. 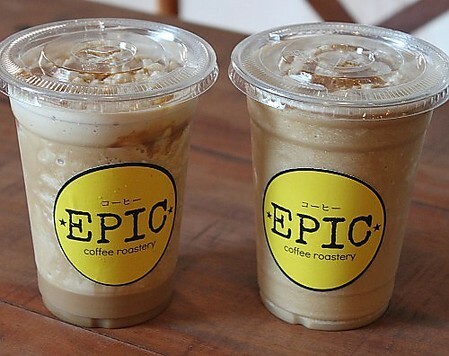 But unlike the kissatens, Epic's coffees are quite affordable: P80 for an Americano and P100 for a Cappuccino or Latte. Those who like their coffees cold can get frappes for under P150. 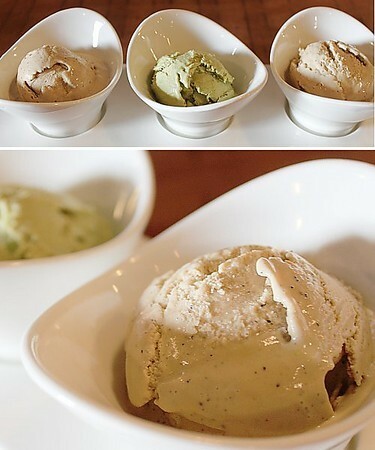 The Sea Salt Caramel (P145) and Green Tea Matcha (P150) are most ordered. One step into Epic and you will have seen, too, some bikes leaning by the wall as if waiting for their owners to come back. These bicycles (three, as of writing) are Sonny's collection. 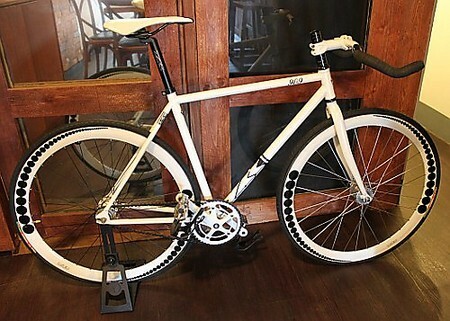 There are single-speeds, foldies, fixies, and commuter bikes-- all of which have their own stories to tell had they been blessed with mouths to speak. 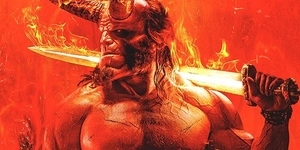 There was a time when there were more than three in the collection. One of them was a black kid's bike given to a boy who showed early interest in biking. Another red mountain bike from this collection was given to a hard-working carpenter. And then there was this brown Japanese bike given to a neighbor who wanted to surprise his daughter. Aside from the obvious message that Sonny loves bikes, the growing and shrinking, then growing again collection speaks loudly of Sonny's character: that here's a man who believes in giving freely and receiving dearly. On bar counters and some of the shelves are vintage items the jet-setting couple has collected in their many years of traveling the world. 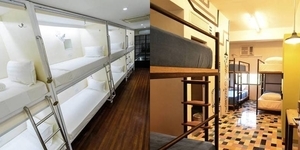 There's a platform balance that spent most of its time as a prop for several Hollywood movies. There are also kettles, miniature bikes, baseball, pots, pans, and coffee grinders that are no longer being produced. And to further reiterate their love for the old and rare, Sonny and Joy decided to employ a record player to provide the soothing sounds in the cafe. Adele's and Norah Jones' albums are the most played discs. Have a cup of coffee in Epic and discover how Someone Like You sounds better in harmony with the grinding of beans and sizzling of cappuccino foams. The walls and bikes speak of Sonny but the cake counter describes Chef Joy exclusively. Arranged neatly on its shelves are home-made cakes made with premium ingredients. 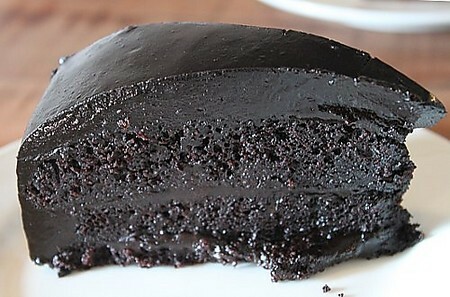 There's the Belgian Chocolate Cake (P95)-- deep brown, utterly moist, and relentlessly chocolatey that's very much like Poco Deli's Black Out cake. 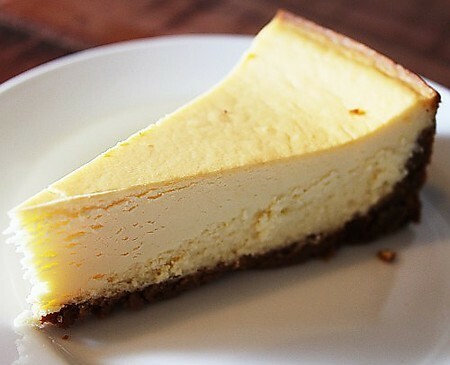 The New York Cheesecake (P140) is made exquisitely, with just enough tart in it. 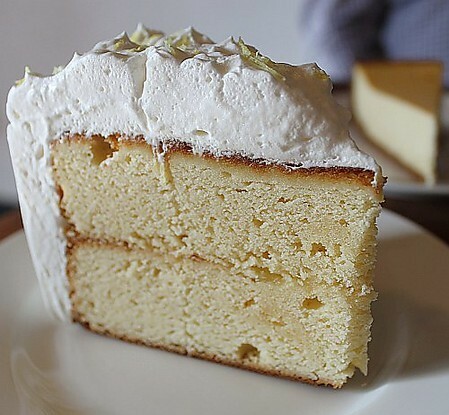 The Lemon Cake (P90) is best for those with a penchant for refreshing desserts. Light with a delicate balance of sweet and sour, this cake goes very well with a scoop of their artisanal Barako Ice Cream. Don’t miss it as it's definitely worth the calorie expense. All the sweets are prime and neat-- a testament of Joy's high regard for quality. Customers are guaranteed that all of the items served here are items Joy and Sonny personally love and eat on a regular basis. 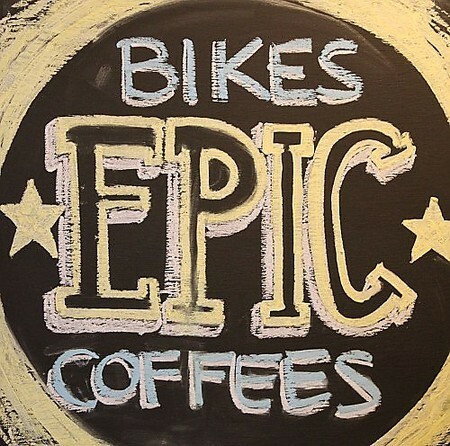 Epic Cafe brings together vintage bikes, antique pieces, good coffee, and great desserts in one warm, laid-back space. 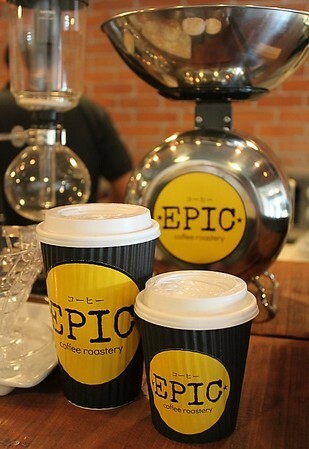 The cafe is tiny and is not spatially deserving of the adjective 'epic'. 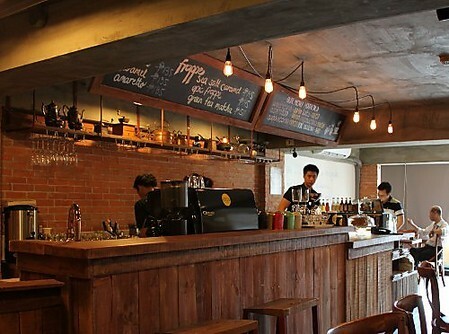 But to put up a quality and ingredient-conscious coffee shop that speaks clearly about your personalities and passions? Now that's an epic feat!